Since Monday’s are very hectic for me… I really don’t have much time for a makeup look. I want to share my GO-TO for a quick luminous and awake look. 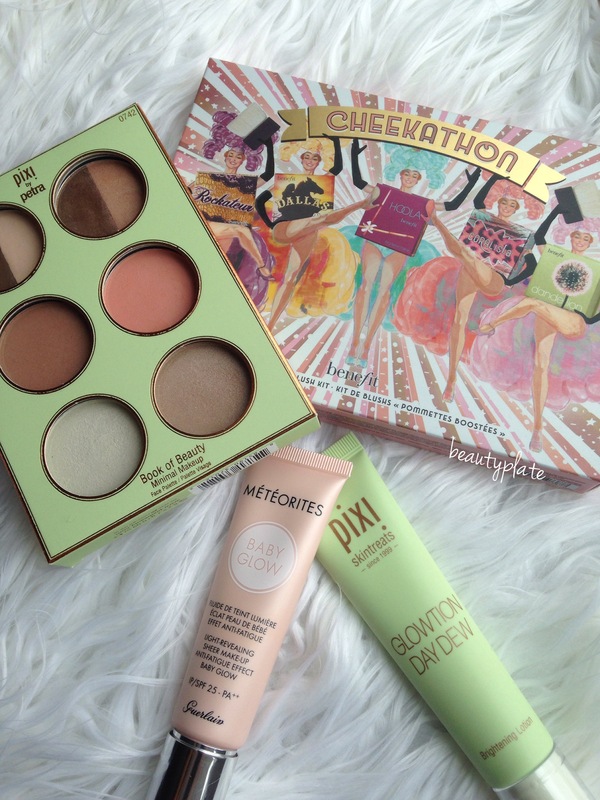 I use the Guerlain Baby Glow in Clara mixed with Pixi By Petra Glowtion Day Dew. Baby Glow from Guerlain website. 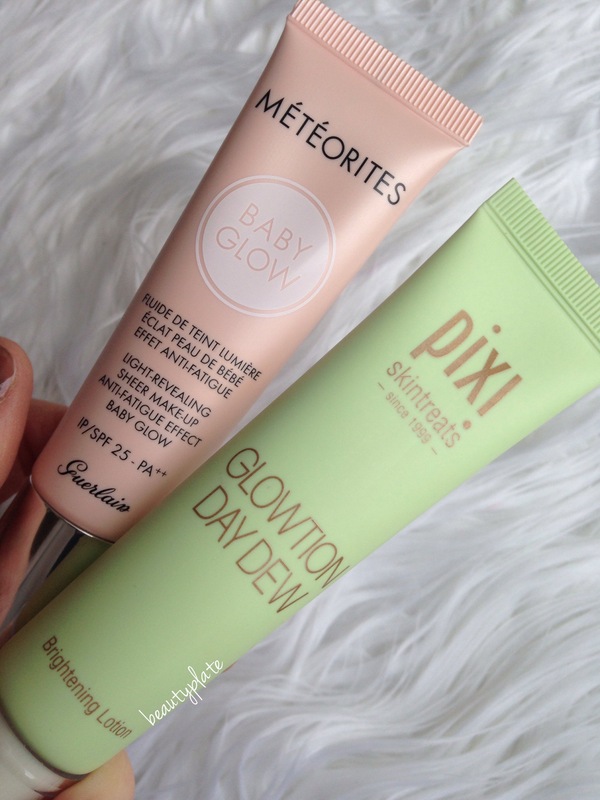 Glowtion Day Dew from PixiBeauty website. Here they are combined as one…. I love how soft these 2 come together and give a refreshed and youthful look to my skin. 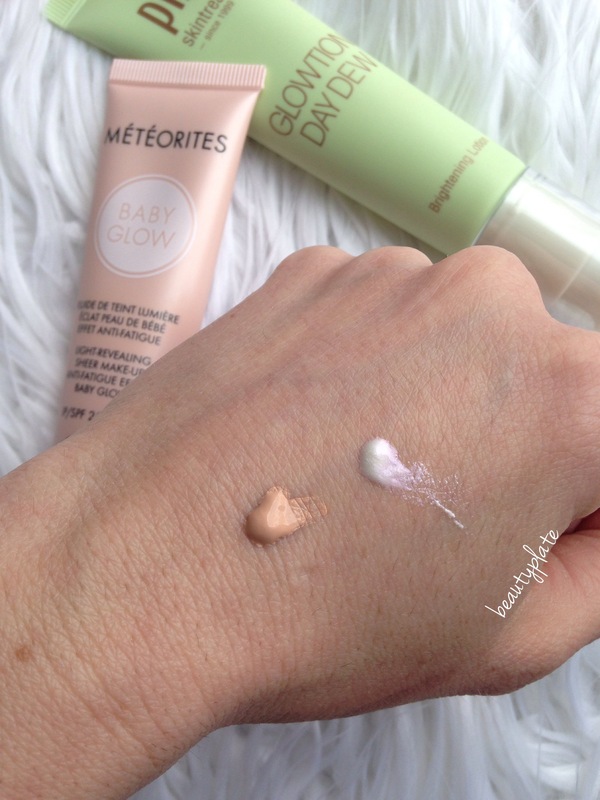 The Baby Glow smooths and evens out my skintone while applying a touch of color. Kind of like a CC cream. And as a bonus, it leaves such a refreshing soft scent of violet. 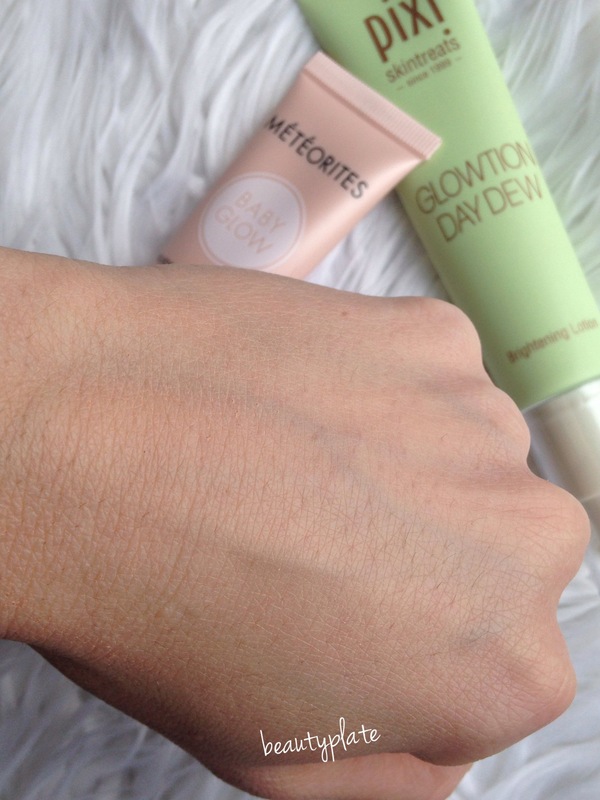 The Glowotion gives my face that “I drink lots of water and get enough sleep” hydrated and soft luminious glow. As a mother of 2 little ones, I surely need more of that in my life. Wearing each alone is wonderful as well. I enjoy BOTH these products, but combining them has given me extra joy in using them. What are your “in a hurry” quick to grab products?! oh WOW! Love how the two blends together to a flawless finish! I tried Baby Glow alone too but unfortunately the color just doesn’t suit me very well. Great post!